CODELOCK NOTICE - 13 Februar 2018! Tracker 3.0.3 has now been updated for PHP7.0 and also to run on Nginx server. 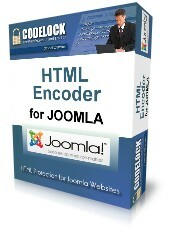 Joomla HTML Encoder only works until Joomla 1.7 and for the time being has been discontinued! We have updated Codelock V2.7 to work with PHP5.5. Please try our software before you buy it! Do you wish you could keep track of ALL your PHP scripts that you have ever deployed or sold and deactivate them at the click of a button if you needed to? "The Ultimate PHP Deployment Utility"
There's nothing else like it... Now you can encrypt your PHP or HTML files and distribute them without worrying about thieves who might want to copy or steal your code AND you can stop being ripped off by fraudsters! Take back CONTROL of your PHP scripts and STOP being ripped off! Encrypt your own scripts on your server, in real-time on-the-fly! "I must tell you that your software rocks. 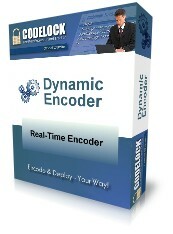 Installation is super easy and the encoding procedure is without fuss. 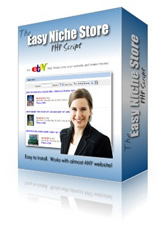 Thank you"
Now you can protect your PHP scripts with our easy to use software. For more information visit any of the pages above.